Every December, I host a cookie party. It’s been a fun tradition to swap cookies with neighbors and enjoy a gals night before things get too crazy with Christmas. This year, I made Double Dark Mocha Drops, a recipe from King Arthur Flour. No, they are not paleo, but they were quite tasty. Other confections included Chocolate Candy Cane cookies, Peanut Butter Blossoms, Nanaimo Bars and more. If you are interested, you can take a look and download the recipes here. 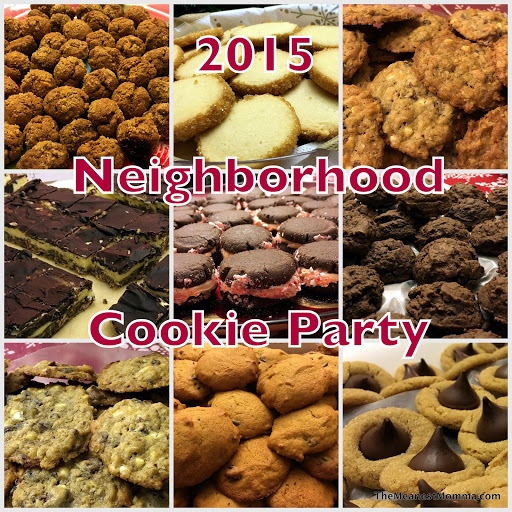 "2015 Cookie Party", 5 out of 5 based on 1 ratings.